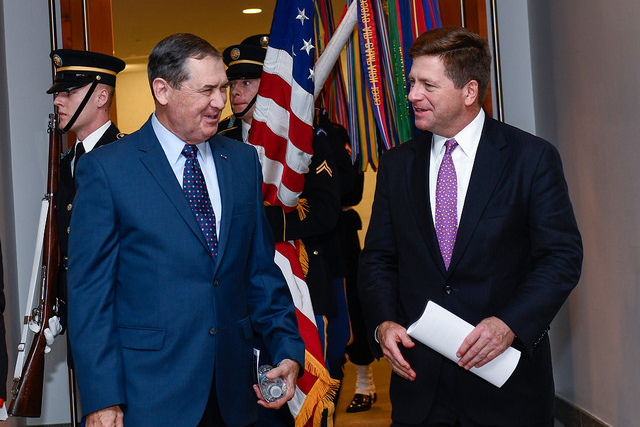 The Securities and Exchange Commission honored veterans and Veterans Day with an event featuring a panel discussion of the U.S. military’s transformation following the Vietnam War. SEC Chairman Jay Clayton, the son of a Vietnam War veteran, moderated the discussion with retired U.S. Army Brigadier General David Blackledge, whose combat service included Operations Desert Shield/Storm and Operation Iraqi Freedom, and Dr. Ronald Spector, a Marine Corps veteran who served twice in Vietnam and now is a professor at George Washington University specializing in military history. The panelists recalled how turmoil during the Vietnam War led to the rebuilding of the U.S. military after the war ended, with an end to the draft and reliance instead on an all-volunteer service that the retired servicemen agreed raised the quality and morale of those serving. Public support for veterans also is much stronger now than it was during the Vietnam War, they noted. 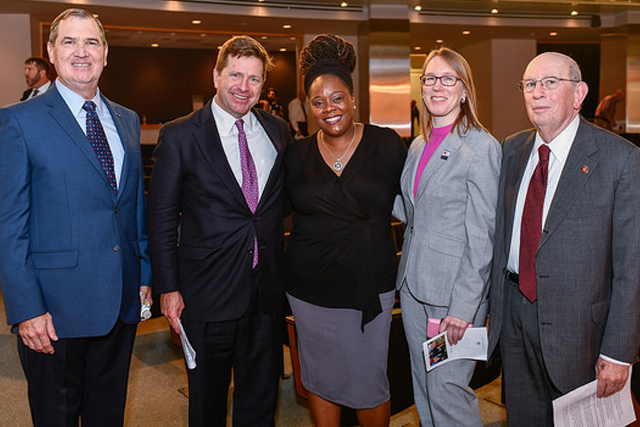 General Blackledge, now Executive Vice President of the non-profit Melwood Veterans Services, also cited advances in the treatment of veterans suffering from post-traumatic stress and other injuries, and in countering discrimination against minority and women service members. 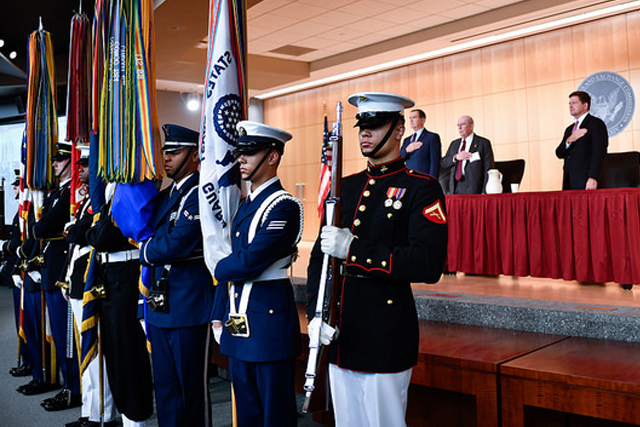 This year's Veterans Day observance was organized by the SEC's Veterans Committee.